The Polls module allows you to create polls for your visitors. The Polls module must be installed by Treefrog. Please contact our office to create a poll for your website. *May be subject to additional charges. Select the Add Link to Article button. Enter in your article Title, Author, Date, Description and Links to another website (optional). Select the Delete button beside the article RSS feed you wish to remove. Select the Edit button beside the RSS feed you wish to edit. 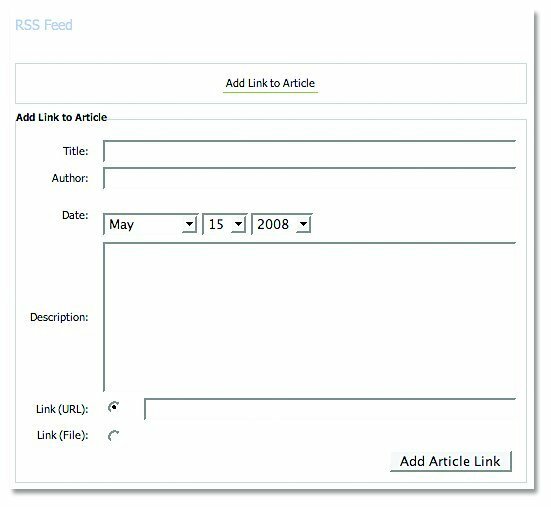 Edit	the	information	you	wish	to	change	about	the	RSS	feed	article. There are several advanced features in the RSS module. Select the Advanced button on the RSS module. Display Date Style – has several selections for the format in which you display the date. 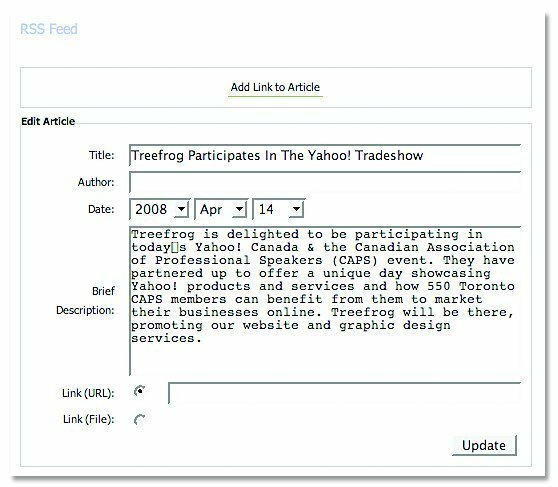 Content Display – allows you to choose the fields that are displayed in your articles. Date – select the format in which you would like the Date to be displayed as chosen in a. above. Title – select if you would like the Title of your article to be displayed. Author – select if you would like the Author of your article to be displayed. 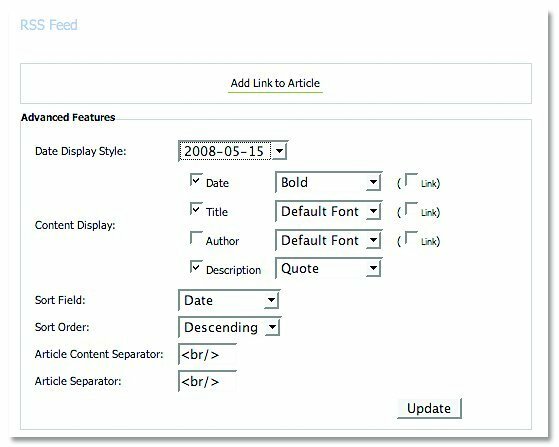 Description – select if you would like the Description of your article to be displayed.